Letter of Credit Dictionary: Most frequently used letters of credit terms and definitions. Explanations in comply with UCP 600 and ISBP. You can find most frequently used letters of credit terms on this page. Please click links for further explanations. About Means a tolerance of +/- 10% regarding the documentary credit value, unit price or the quantity of the goods. Acceptance A time draft that the drawee (the payer) has accepted and acknowledged in writing the unconditional obligation to pay it at maturity. Advice The forwarding of a documentary credit or amendment to the beneficiary by the advising bank in compliance with the instructions of the issuing bank. Advising Bank A bank which receives a letter of credit issued by the applicant’s bank and forwards it to the beneficiary without assuming any responsibility or liability other than to ensure their advice accurately reflects the terms and conditions of the Credit and to verify the credit’s authenticity. in negotiable form. Air waybills should not be consigned “to order of” a named party, but should be consigned directly “to” a named party. All Risks an insurance provision that all loss or damage to goods is insured except that of inherent vice (self caused) or any other causes listed in the insurance policy. Amendments Amendment of the current documentary credit conditions (e.g. extension of the documentary credit validity period, shipping deadline, etc) as given by the issuing bank on instructions from the applicant (buyer). Applicant The buyer/importer/account party who applies to its bank to issue a letter of credit in favor of the beneficiary/seller/exporter. 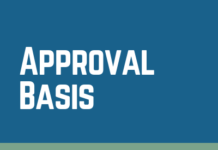 Approval Basis If documents containing discrepancies are presented to the nominated bank under a documentary credit, the bank can forward the documents to the issuing bank for approval with the beneficiary’s agreement. either wholly or partly, to another party, for example a subcontractor. By sight payment – payment on receipt of the documents by the issuing bank or the bank designated in the documentary credit. By deferred payment – payment after a period specified in credit, often calculated as number of days after the shipping date. By acceptance – acceptance of a draft by the issuing bank or by the bank designated in the documentary credit, and the payment thereof at maturity. By negotiation – means advance or being ready to advance funds to the beneficiary. Beneficiary The party in whose favour the documentary credit is issued. Bill of exchange (Draft) generally used interchangeably with the word “draft”; this is an unconditional order written from one person (the drawer) to another person (the drawee) directing the drawee to pay a certain sum at a fixed or future determinable date, to the order of the party who is to receive payment (the payee or drawer) — (see draft). Evidence of title to the relative goods. On board/shipped a B/L evidencing the loading on board of cargo in good conditions. Received for shipment a B/L which only evidences that the goods have been received, not that they have been loaded on board. Blank endorsed – A negotiable bill of lading in which the title to the goods is passed on to another party by means of an endorsement. 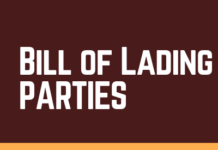 The holder of the “blank endorsed” bill of lading is entitled to take possession of the goods. Negotiable or To order – A bill of lading in which the merchandise is consigned directly “to order” or “to the order of” a designated party, usually the shipper or a bank. The phrase “to order” or “to the order of (a designated party)” signifies negotiability permitting the title of the goods to be transferred many times by means of appropriate endorsements. Notify – This phrase requires the carrier to notify a designed party upon arrival of the goods, but does not transfer title of the goods to that party. Carrier Company whose business is the transport of goods The carrier is liable for the whole transport it covers regardless or whether the goods are carried by its own and/or other means of transport. Certificate of Inspection Document specifying that the goods were inspected, mostly prior to the shipment, and it is usually issued by a neutral party. Certificate of Origin A document, required by certain countries for tariff purposes, certifying as to the country of origin of specified goods. Clean Bill of Lading Transport document without markings regarding damage of goods or packaging. CIM Freight document used in rail transport. CMR Waybill Road transport document. Confirmation A definite undertaking by the confirming bank to honour or negotiate a complying presentation. This payment undertaking is in addition to and independent of that of the issuing bank. Consignee A person or an institution named in a freight contract to whom merchandise is to be delivered. Consignor The consignor is understood to be the party who delivers the goods in his/her own name to the carrier (i.e. ship owner) based on a freight contract. Deadline for Examining the Documents The banks are allowed time to examine the documents presented under the credit, such time not to exceed 5 bank working days following the day of receipt of the documents. Demurrage A penalty charged by the carrier to the charterer or shipper for exceeding the free time or days allowed for loading or unloading at a pier or freight terminal. Discounting Act of purchasing or prepaying an accepted Usance Bill of Exchange or documents presented under an LC. Discrepancies Error or defect, according to the bank, in the presented document compared with the documentary credit, the UCP 600 rules or other documents. Documents The documents to be presented as stipulated in the documentary credit. Endorsement The signature on the back of a negotiable instrument made primarily for the purpose of transferring the rights of the holder to some other person. EUR1 Movement certificate and proof for preference for export in countries and regions associated with the EU (and EEA) through free trade agreements, association or preferential agreements as long as the goods concerned are included in the tariff preferences. Expiry date/place Indicates when and where the documentary credit expires for presentation of documents. FCR Forwarder Certificate of Receipt confirms that the goods have been accepted for carriage to, or held at the disposal of the consignee. For Account of The documentary credit’s order giver; see Applicant above. Force Majeure Banks assume no liability for the consequences arising out of interruption of their business operations due to force majeure. Forwarder’s Document Transport document issued by any party other than a carrier, owner, master or charterer. Freely Negotiable In a freely negotiable documentary credit, the beneficiary has the right to present his documents at a bank of his choice. 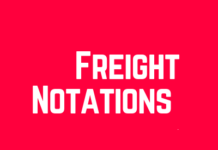 Freight Notation Reference on the transport document which indicates whether the freight costs were paid in advance by the shipper ’’ freight prepaid’’ or are to be paid by the consignee when the goods arrives at the destination’’ freight payable at the destination’’, or ‘’freight payable as per charter party’’ in charter contracts. Full Set All the originals of a particular document (normally bill of lading or insurance document). The number of originals are indicated on the document itself. House Air Waybill An air transport document issued by a Freight Forwarder. ICC Paris International Chamber of Commerce, Paris. In favour of The documentary credit’s beneficiary. Incoterms International rules published by the International Chamber of Commerce for the interpretation of foreign trade terms. The currently valid version is publication no.715 valid as of 01.01.2010, Incoterms 2010. Incoterms 2020 is coming. 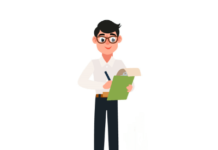 Insurance Amount The UCP specify the percentage of insurance cover required on insurance documents presented under documentary credits (at least 110% of the CIF or CIP value of the goods). Insurance Document Any type of confirmation of insurance cover in which the rights and obligations of the insured party and the insurer are laid down. Intended Indication which may appear on marine/ocean bills of lading, non-negotiable sea waybills and multimodal transport documents. Invoice A written and signed list of goods and/or services with associated quantities, prices and expenses. It contains the terms of the sale and is prepared by the seller to show the total amount owed by the buyer. Irrevocable Documentary credits may not be amended or cancelled without the agreement of the parties involved. Issuance Date of the Documents Unless prohibited by the documentary credit, documents bearing a date of issuance prior to that of the documentary credit are acceptable. Latest Date for Presentation Deadline for presenting documents under a documentary credit. If no deadline is stated in the documentary credit, the set of documents must be presented within 21 days after the shipment date. Documents must, however, be presented within the validity date of the documentary credit. Multimodal Transport Document Multimodal transport document/combined (transport) bill of lading covering at least two different modes of transport used. Negotiable Instruments The following documents are typical negotiable instruments: bills of lading, warehouse receipts (if marked negotiable), bills of exchange, etc. which may be transferred to another party by endorsement. Negotiable Bill of Lading Bill of lading transferable by endorsement. Negotiation In banking, negotiation means the sale and purchase of bills of exchange and/or documents. In documentary operations negotiation means advancing or agreeing to advance funds to the beneficiary on or before the banking day on which reimbursement is due to the nominated bank. Non-negotiable Instrument Not a title document. Ownership of the document alone does not entitle the holder to receive the goods named therein. the documentary credit) or a forwarding agent taking care of the goods at place of arrival. On Board Pre-printed wording on the bill of lading which indicates that the goods have been loaded on board or shipped on a named ship. in the case of received for shipment bills of lading. On Deck Notation on the bill of lading which indicates that the goods have been loaded on the deck of the ship. Original Documents Shall be considered in the frame of a documentary credit as original, of a document bearing an apparently original signature, mark, stamp, or label the issuer of the document. On Their Face Banks must examine documents with reasonable care to ascertain whether or not they appear, on their face, to be in compliance with the terms or conditions of the documentary credit. Partial Drawings/Shipments Permitted unless expressly prohibited by the documentary credit. Purchase Contract Documentary credits are, by their nature, separate transactions from the purchase or other contracts on which they may be based. Banks will not be concerned with such contracts, even if they are referred in the documentary credit. Railway Bill Freight document that indicates goods have been received for shipment by Rail. Recourse In documentary transactions the negotiating bank reserves the right of recourse to the presenter of the documents if the issuing bank does not reimburse it, provided that the negotiating bank has not confirmed the credit. Red Clause Letter of Credit Clauses in letters of credit which allow advances to the beneficiary prior to the shipment of goods. The wording of the clauses stipulates the conditions of such advances. Reimbursing Bank The bank named in the documentary credit from which the paying, accepting or negotiating bank may request cover after receipt of the documents in compliance with the documentary credit. Revolving Documentary Credit With a revolving documentary credit the issuing bank undertakes to reinstate the credit after each drawing or time period (e.g. monthly). The number of utilization and the period of time within which these must take place are specified in the documentary credit. Standby Letter of Credit An undertaking issued by a bank at the request of an obligor to a beneficiary that the bank will make payment if the obligor does not fulfill certain defined obligations in accordance with the contract with the beneficiary. Mainly used in the U.S. where bank guarantees are not allowed. Third Party Documents In documentary credit operations, documents showing other parties than the ones mentioned in the documentary credit are referred to as ‘’third party documents’’. Through Bills of Lading Bills of lading where transhipment takes place en route but which cover the entire carriage of the goods from the port of loading to the final destination. Tolerances The UCP stipulate the tolerances allowed with regard to amounts, quantities and prices in documentary transactions. Transferable Documentary credit where the beneficiary is allowed to transfer its rights under the documentary credit, wholly or in part, to one or more second beneficiaries (subcontractors). UCP 600 The International Rules for Documentary Credits: Uniform Customs and Practice for Documentary Credits, ICC Publication No. 600. Unconfirmed (documentary credit) The issuing bank does not require confirmation of the documentary credit by the advising bank. Validity/Expiry (of a Documentary Credit) The expiry date represents the last day on which the beneficiary may present documents under the documentary credit to the nominated bank. 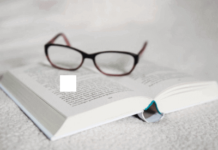 Glossary for Documentary Credits, Banca Comercială Română S.A.
How to Deal with High Banking Commissions under Letters of Credit?